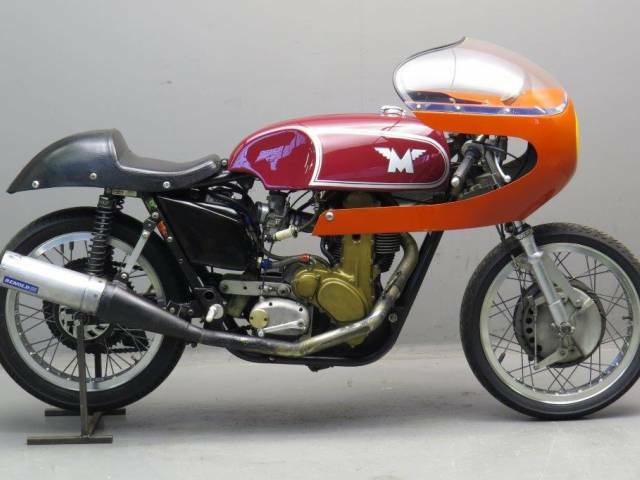 The Matchless G50 is a racing bike made by Associated Motorcycles (AMC) at the former Matchless works in London. Developed in 1958 from the 350cc AJS 7R but with the engine capacity increased to 500 cc, 180 G50s (G 50 stands for 50 bhp) were built in the next four years. The G50 50cc OHC proved highly competitive at three hundred pounds and was faster in cornering, compared to the slightly more powerful Norton Manx. If success is measured by longevity then this is the most successful Matchless motorcycle ever . Unfortunately financial problems at AMC ended production in 1963. In 1963, the AMA decided that the G50 should not be allowed to race in the USA as it was not based on a production street bike. Matchless solved the problem by creating the street-legal G50 CSR, fitting the G50 engine into the G80CS Scrambler frame. By the time the G50 was reinstated, however, it was no longer in production. We are told this Matchless was built by George Beale hence the frame number GBLW (George Beale Light Weight) and a G50 CSR engine has been installed. 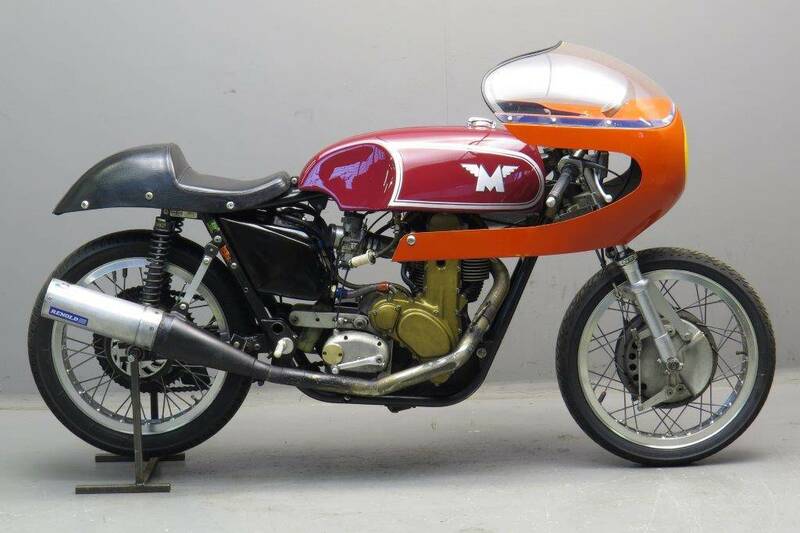 This fine G50 Matchless racer is in good condition and will only need light recommissioning after long inactivity.